This past Sunday (9/10) I set out alone in the predawn dark on a 26 mile (8 High Peak) solo attempt of what backpacker.com deemed the third hardest day hike in America. As dawn broke and I crested the first summit (Lower Wolfjaw) I encountered three fellow hikers (lunatics) who were themselves attempting the Great Range Traverse, albeit by a slightly different route. 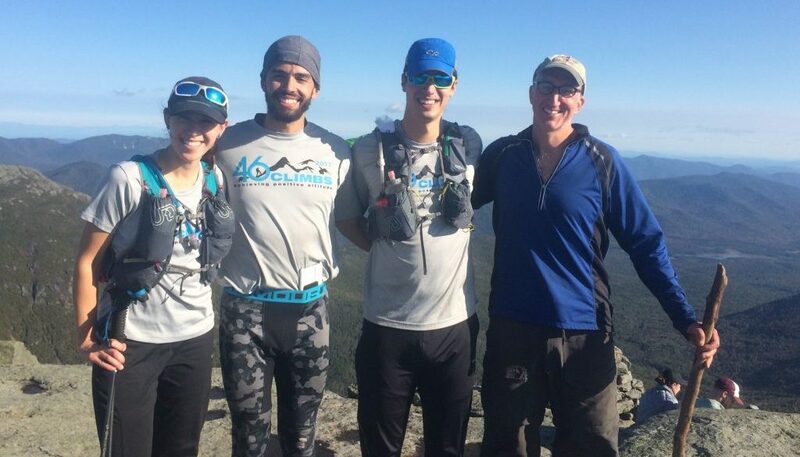 Unlike my own selfish motives for undertaking this endeavor (Ego and a bit of a F**k You to turning 50) these three young inspiring individuals were out in the ADKs as part of a very noble cause. Initially, the three of them (Kolby Ziemendorf, Catherine Ziemendorf and Cody Wiktorski) were a bit shocked to learn I was attempting this epic feat solo. Without a hint of hesitation they instantly invited me to join their tribe. I accepted their generous offer and along the way they informed and enlightened me regarding 46Climbs (www.46Climbs.com). 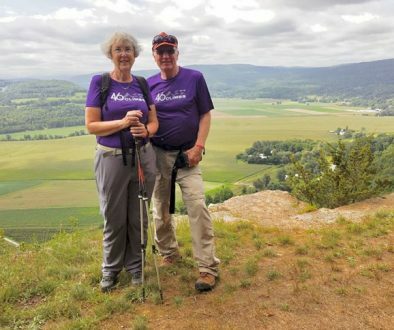 It is a hiking club organized in 2014 by two Clarkson University Graduates (Kolby and Catherine Ziemendorf) to raise funds and awareness for Mental Illness and Suicide Prevention. 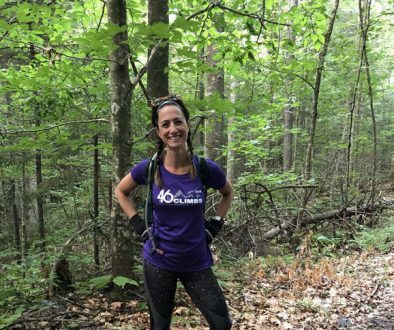 It was perhaps a side-effect fueled by the flood of endorphins exuded during the execution of such an epic undertaking, but over the next eight hours and eight High Peaks we readily bonded as each of us took turns sharing deeply personal stories of how suicide and/or mental illness had deeply impacted our lives. Those who know me know I had what could only be described as a very severe psychotic break in my mid-twenties and although I never attemped suicide I did suffer a very deep, profound and prolonged depression. Admittedly I did not personally find any relief in the form of psychiatry and pills, but rather thru exercise, literature, philosophy, religion, humor and most importantly an unbelivably deep network of supportive friends and family I eventually found my way through the darkness and back from the abyss that is depression/mental illness. Indeed now years later my family, friends and I readily and routinely joke about the “tragedy” that was my mental collapse and it is with great pride that I have wholeheartedly empraced the moniker of “crazy Uncle Steve” respectfully bestowed upon me by my loving horde of “midgets” I call my nieces and nephews. Regrettably not everyone has enjoyed the resources and support I had in embarrassing abundance and as a result mental illness takes far too many from us each and every day in the form of crippling depression, substance abuse and suicide. In many ways I now see las week’s Great Range traverse as a sort of microcosm of Life. Although it began and ended alone and in the dark, along the way I was blessed with fellow travelers to assist, encourage and accompany me on the dreadul decents and comrades and like-minded souls to enjoy, celebrate and commiserate with upon summiting the highest ascents. Unfortunately during that day while listening to the heart breaking stories Kolby, Catherine and Cody had to tell I learned first-hand how far too often mental illness and suicide shatters the lives of surviving Loved Ones. Ultimately, the true tragedy of suicide seems to be in the false beliefs of the tortured souls who undertake the act. Too often they see suicide as the lifting of a weight too heavy to bear, an end to their suffering and an answer to all their problems. Regrettably, as one of the fundamental laws of physics tells us “for each and every action there is an equal and opposite reaction.” Inevitably a “successful” suicide instantaneously impacts the remaining grief stricken loved-ones by condemning and burdening their hearts and souls with the immeasurable weight of a lifetime’s worth of profound suffering, second guesses and forever unanswerable questions. 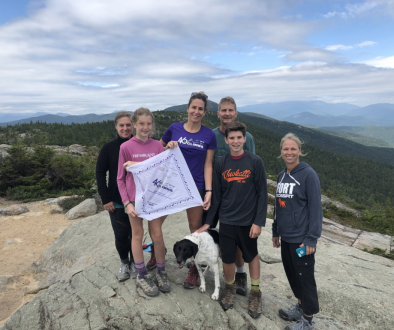 To their credit Kolby, Catherine and Cody have used their own and very personal losses to raise awareness and monies to help prevent future suffering through their work with 46Climbs. I encourage people if they can to make a donation to such a worthy and desperately needed cause. Likewise I implore people to share their own personal experiences with mental health issues and depression in hopes their hard fought wisdom might light the way and guide those poor souls currently lost within the abyss of mental illness or awash in the seemingly endless darkness of depression. In the sharing of our stories we slowly begin to lift the stigma and silence that feeds this epidemic of suffering. Reflecting on Mental Illness	Absolutely Amazing! !